Any thumb injury can cause problems with simple, everyday tasks, especially when they occur on our dominant hand including cut thumbs, tendon injuries and even broken or fractured thumb injuries. If you’re looking to make a thumb injury claim, then Advice.co.uk may be able to help by providing you with a no win no fee solicitor to assist with any claim. If you already know that you’d like to begin a claim, then call one of our advisers on 0161 696 9685 and we’ll assess your case straight away. If you’d like to know more first, then please carry on reading this guide which covers everything you need to know. What Damages Could Your Thumb Injury Claim Include? What Injuries Can Happen To Your Thumbs? How Much Time Do I Have To Make A Thumb Injury Claim? How Do I Make A Thumb Injury Claim? This article will guide you through the process of making a thumb injury claim, how much compensation you could receive, what the most common thumb injuries are, what do in the event of an accident and how Advice.co.uk can help you to make a claim. Compensation can be claimed in the UK if you’re injured because somebody caused your accident to happen through some sort of negligent act or mistake. It can sometimes be difficult to ascertain if somebody else was at fault for your accident which is why Advice.co.uk offer free legal advice to anybody considering making a claim. As well as injuries such as fractures and bruising, this guide covers long term injuries such as repetitive strain injuries (RSI) and vibration white finger. If you decide that you want to make a claim, you’ll find all of our contact details towards the bottom of this guide as well as details about how no win no fee agreements really work. If you’re asking questions such as “How much is a thumb worth in compensation?”, then you have probably heard rumors of personal injury compensation calculators. Unfortunately, calculators can’t give you an accurate estimate as every single compensation claim is different to the next and there are many elements of a claim that can be made (see the next section for full details on this). Finger / Hand Serious £23,110 to £49,350 Can include reduced capacity to use hand fully where several fingers are amputated and sewn back on or other amputations which leave grip diminished. Finger / Hand Less Serious £11,520 to £23,110 Injuries such as crush injuries which impair function greatly (even after surgery). 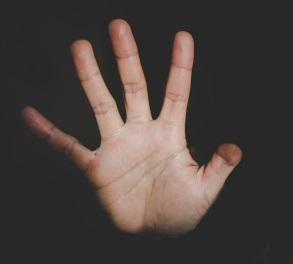 Finger / Hand Moderate £4,640 to £10,580 Ranging from permanent but non-intrusive injuries and symptoms up to serious injuries where surgery has failed to rectify symptoms. Finger £7,270 to £9,670 Fracture of the index finger which has been remedied quickly but there is still a lot of pain or osteoarthritis is likely later on. This provides an example only and the amount of compensation is dependant on your personal injury solicitor being able to provide enough medical evidence to support your claim. It’s important therefore that you provide as much information to them as possible and any supporting evidence. As we mentioned above, personal injury claims for thumb injuries can be made up of a number of different elements. Not every claim will include all of the elements as they are used depending on the impact caused to you following the accident. Pain and suffering (A figure that can be gained from a similar table to the one used in the last section). Loss of amenity (enjoyment of life or the impact on the ability to complete everyday tasks). These are somewhat easier to assess as they are usually for financial losses incurred by the accident and, following compensation, you should be in no worse (financial) position than you were prior to the accident. If, following your accident, you incur any medical expense (such as prescription or treatment costs) or require any professional care costs when supported by specialist medical advice that it was required. It is acceptable to claim back any earnings that you lose while you’re away from work to recover or attending medical appointments. At the same time, if you are unable to work the same number of hours or even have to change job (or stop working altogether) you can claim for future lost earnings if it can be proven that it’s been caused by the accident. If you need to modify your normal travel arrangements i.e. use a taxi or public transport instead of driving yourself, then you could claim for the costs involved. Furthermore, you can claim for any costs associated with travelling to a doctor or other medical appointment. As special damages are usually finance related, it is recommended that you provide your personal injury lawyer with evidence such as receipts or bank records to back up the claim. Any injury to any one of the thumbs that requires any type of treatment can be deemed as a thumb injury. The key point is that it must’ve been caused by somebody else, reported and treated by a doctor for a chance of a claim being successful. Faulty products which cause lacerations to the thumb or thumbs. Any of the above could lead to thumb injury claims when it can be proven that the accident wasn’t your fault but caused by some form of negligence. There are a number of thumb injuries that can occur. Essentially, they involve some form of damage to the thumb, ranging from minor injuries through to those that require surgery or physio to remedy the damage done. Injuries resulting in the amputation of one or both of the thumbs. These are just some of the more common injuries, others such as jamming a thumb, knuckle injuries, splinting and thumb joint injuries can also lead to compensation claims, providing they were caused by somebody else. Ligament damage to one or more thumbs where heavy lifting is involved. Crushed thumbs where heavy items fall on to the hand or thumb. Cuts and lacerations to the thumb or thumbs involving cooks, chefs or restaurant staff. These types of accident, on their own, don’t constitute a valid claim for compensation but if it can be shown that they were caused because of a lack of training, inadequate equipment, lack of safety equipment or damaged machinery then it would be more likely that we could help you with a claim. This type of accident should always be reported to the supervisor so that it is recorded in the company’s accident report log under health and safety regulations. It is possible to break or fracture a single finger or your thumb without realising the extent of the damage as sometimes the symptoms are simple bruising or discolouration. Even though you may think the injury is minor, you should seek medical attention as, without it, the injury may not recover fully or the amount of pain you suffer could last much longer if the fracture doesn’t heal properly. More serious broken thumbs, of course, require a visit to the hospital, especially if a bone has pierced the skin or the thumb is pointing in the wrong direction. NHS advice suggests that, if you suspect a broken thumb or similar injury, that you should try to avoid moving it as much as possible, gently hold ice next to it (wrapped in a cloth) and hold the hand above heart left to reduce swelling before seeking medical treatment. Any of the nerves in the arm and hand can become injured can become damaged at the same time as a thumb injury and could lead to tingling or burning, numbness, a weakened grip and a loss of feeling in some or all fingers. The damage can repair itself if the bone is set correctly and some doctors may prescribe some form of exercise to reduce the pressure on the nerves. Vibration White Finger (sometimes called Raynaud’s disease) is usually caused by long-term exposure to vibrating hand tools, often in cold and wet conditions. Employers have a duty of care to protect staff against this type of RSI injury by providing low vibration machinery, changing the job role to reduce repetitiveness and by ensuring equipment are kept warm and dry to reduce the risk vibration white finger. If you’ve been recently diagnosed by a doctor for this type of condition, you could begin a claim against your employer so please get in touch with us as soon as possible. Please see the section on time limits for details about illnesses such as vibration white finger as it is different from standard personal injury claims. Losing part of any digit, especially on the thumb, can be life changing and affect everyday life as well as the type of work you’re able to complete which means compensation should be sought to allow you to make adjustments and to aid recovery. Unlike breaks and fractures, there is no recovery from the partial loss of a thumb, so it is only right that you seek legal advice to decide whether you are able to make a claim for your injuries. Whether the loss happened at work or in a public place, if we can determine that somebody else caused the injury through something they did or didn’t do, then we could help you to make a no win no fee compensation claim. RSI type injuries are common in office-based workers who regularly use computers. The Health and Safety Executive have provided employers with regulations and recommendations on how to prevent RSI for many years. Employers should risk assess the work that you undertake for risk of RSI and, if it is a risk factor, provide adequate breaks from the computer and offer devices such as wrist supports. These risk assessments may have been undertaken by supervisors or occupation health specialists hired by the company, but if you don’t recall one having happened or have evidence that you’ve asked for support but never received it then please get in touch so we can assess your claim. RSI injuries can be complex cases to prove, so we’d recommend a specialist personal injury solicitor is used in all cases to ensure the correct legislation is considered when making a claim. As with all claims in the UK, any thumb injury claims are time limited by law. This means that you must ensure you begin a claim prior to the time limit, otherwise, it will be rejected automatically. These time limits are for all types of claim including broken thumb claims, injury at work claims and cut thumb claims. You should give your solicitor plenty of time to prepare all relevant evidence, so we’d recommend you contact one as soon as possible following your accident. Ensure you seek medical treatment. Without this, a claim is highly unlikely to be successful as, after you received treatment to repair the injury, the doctor or medical professional will create medical records which can be used as evidence to prove the injury occurred and how serious it was (it may include other information including x-rays if they were taken). If the accident happened at work or in a public place, ensure that it is reported to somebody who can log it in an accident report log. This can be obtained as further evidence that the accident happened. Ask any witnesses, this can include colleagues, to write a statement of what they saw when your accident happened. Obtain their contact details as well so that we can contact them at a later date if needed. Photograph the injuries to your thumb or ask somebody to do it for you. Also, photograph the scene of the accident before anything that caused it is removed or repaired. You may find that going back at a later date to do this will mean the cause is no longer there, so try to get this done as soon as possible following the accident. All of these steps will give your solicitor a lot more evidence and references to help make the claim much easier than without them and could mean they have a much better chance of winning your case. Once you’ve decided that you would like to make a compensation claim for your injured thumb, the first step that we’d recommend is to call one of our specially trained advisers at Advice.co.uk. We’ll listen to your claim, assess it and then, if we agree that you’ve got a strong case, connect you with a no win no fee solicitor to make your claim. The main reason people use no win no fee claims is that the financial risk and stress of making a claim is greatly reduced because, if the solicitor loses the case, then the client doesn’t have to pay them for their service or time. There are other options, like paying a solicitor for their time, which mean you’ll get 100% compensation if they win, but if the solicitor loses the case, you still have to pay their legal fees (which could amount to a large amount of money). With no win no fee agreements (also known as conditional fee agreements – CFA’s), you know from the start where you stand. They have a section which specifies the success fee the solicitor will charge if they win. It is a fixed percentage (with a maximum of 25%) of any compensation they win for you that covers their time and services. If compensation is awarded, the solicitor simply retains their success fee and sends the rest of the compensation directly to you which means you never actually have to send them any funds yourself. The team at Advice.co.uk are friendly, professional and dedicated to ensuring you receive the compensation that your injuries deserve. We know it’s important to aid your recovery and move on following your injuries, so we work hard to make sure you get the correct amount. Now that you’ve read this guide about claiming compensation for thumb injury claims, we hope you are happy to use Advice.co.uk to make your own claim. Remember, we can help with claims for any part of the UK, have a team of personal injury specialists waiting to work with you and only use no win no fee solicitors to greatly reduce the stress of claiming. Call us on 0161 696 9685 to speak with a member of the team right away. Or fill in this simple online form and we’ll get back to you at a time that’s convenient to you. We offer free, no-obligation, consultations to assess the merits of your case and provide free legal advice regarding the chances of its success, so please get in touch even if you’re not sure how valid the claim is likely to be. NHS Broken Finger Guide – An NHS article about the symptoms, treatments, and aftercare for broken finger and thumb injuries. NHS Hand Pain – Another guide from the NHS that provides information on hand pain, which could be linked to nerve damage suffered during an accident. Health and Safety at Work Act– this the legislation, from the UK government, that outlines the responsibilities for employers to ensure that employees are kept safe while at work. If you require any further information then please make contact with one of our team.